See How to Reprint Your Mock Exam Slip as JAMB Slates April 29 for the 2017 Mock Exam. The Joint Admissions and Matriculation Board has slated Saturday, April 29 (this weekend), for the conduct of its Unified Tertiary Matriculation Examination (UTME) mock examination in some selected centres across the country. JAMB's Registrar, Prof. Is-haq Oloyede made the announcement during a workshop to train its officials for the coming UTME examination in Abuja on Wednesday. According to him, the mock examination would take place in 633 computer based test (CBT) centres across the country. READ ALSO: The Comprehensive summary of JAMB's new novel, In dependence by Sarah Ladipo Manyika. We have identified those technical hitches and quickly made necessary correction and tighten loose nuts. As a matter of fact, a trial mock was conducted last week in 10 states and the exercise was 99 percent successful. All we are trying to do is to do things the best way that will not be wasteful, that will not make Nigeria inferior in the community of examination bodies. What we are trying to do is find the most efficient way of conducting our examination. I believe whatever can work in another place can work in Nigeria. For us, what we are trying to do is to give the best of our services to this great nation of ours. I need not be the registrar of JAMB if there will be no change positively. We believe that come next Saturday (this Saturday), we will do our best. What we have done now is that last Monday we conducted a preliminary mock in ten places across the country and it was 99 percent success. We conducted it in Sokoto, Abuja, Lagos, Ilorin, Nasarawa, Lokoja and we tested the technology again it was working but it worked because of the cooperation of all. I don’t expect full perfection from all the system. There would be saboteurs that might work against us and that was why we have plans A, B and C, in addition to several other backups in case any of our plan fails. At the end of the day, it would be said of me that I have done my best. People are head bent on creating problems where none exist. I believe their toes are very big and I don’t mind stepping on them. Believe that at the end of the day Nigerians will know the truth and who to appreciate and who to condemn. So I expect all other stakeholders involved in the system not to sabotage the efforts of the board but reciprocate such gesture and goodwill so that we could give Nigerians the best of services they deserve. 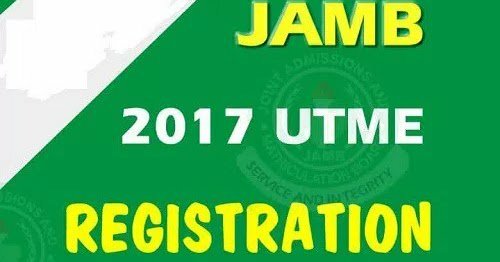 To this effect, the Joint Admission Matriculation Board (JAMB) has started dispatching the new exam center, date and time for the 2017/18 UTME Mock Test scheduled to begin on Saturday, April 29, 2017 to candidates who registered for the examination via Mail and Text Messages. Many candidates who received text messages from JAMB Confirmed this information though they were told to check their JAMB Profile or Mail to view or download their Mock Test Schedule. Please check your JAMB profile email address for your e-Registration slip which contains the name of your Examination centre and time for the Mock test scheduled to hold on Saturday 29th April, 2017. Thank you. Hope you are aware that you cannot make use of the former JAMB mock examinations print out as it is outdated. Therefore, you are expected to reprint your JAMB mock examinations slip. Follow the simple steps below to reprint the new 2017 JAMB mock exam slip. 2. Login with your email address and password you used while creating your JAMB profile. 4. Download and Print Out Your slip and the new date will be reflected.